John Newton said, “I am a great sinner and Christ is a great Savior.” He was touched and transformed by God’s grace, or as Newton put it in his famous hymn, “amazing grace.” Iain Duguid’s book, Living in the Grip of Relentless Grace draws readers into the drama that plays out in the Old Testament. Duguid highlights the grace of God in the lives of several Old Testament saints, but focuses much of his attention on Isaac and Jacob. Readers who are familiar with Iain Duguid know of his deep and abiding love of the gospel and his skill in surfacing gospel realities in Bible stories. This work is no exception. This essays are clear, practical, and gospel-centered. 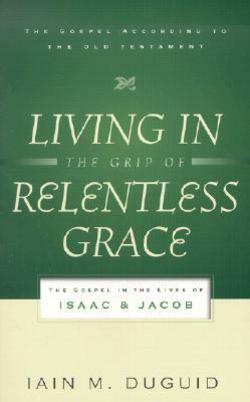 Each chapter is drowning in gospel-centered reality; reality that young preachers should familiarize themselves with. God’s sovereign purpose prevails even in the lives of wicked people … God’s work of redemption was accomplished in the midst of the most heinous sin of all history! Through an act of human rebellion, Christ’s perfect life was offered up as an acceptable sacrifice to God the Father in our place. By that act, we are saved. Jacob and all his spiritual children are redeemed by sovereign, relentless grace, and we receive the blessing that God planned from all eternity. God’s grace relentlessly pursues his people in a way that brings him glory and showcases his majesty to the nations.